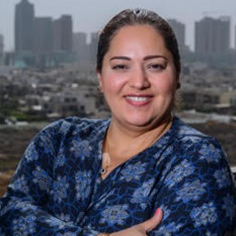 Sherri Kraham Talabany is the President and Executive Director of the Kurdistan -based SEED Foundation and U.S.-based SEED for Change, charitable organizations that promotes economic development, as well as social, educational, and economic development in Kurdistan. Sherri was a senior official in the United States Government in Washington, D.C. for almost fifteen years, from 1998 – 2012, working on foreign policy, foreign assistance programming, and international development. She worked for the U.S. State Department from 1998 – 2003, starting her career working on Iraq and then in a variety of positions overseeing policies and programs worldwide. She then served as the Managing Director and later Deputy Vice President for Policy at the Millennium Challenge Corporation from 2004 – 2012, working with the poorest countries in the world to improve their policy environment to reduce poverty through economic growth. Sherri is a lawyer who earned her degree in 1999 from George Mason University, in Virginia and currently resides in Erbil, Iraqi Kurdistan. She has been involved in volunteer activities throughout her life, serving on non-profit boards and advocating on behalf of the poor and underserved, including vulnerable minorities and displaced people. She was recognized by multiple awards from several Secretaries of State and was awarded as DevEx’s ‘Top 40 Under 40’ Leaders in International Development in 2010. Tanya Gilly-Khailany is the Vice-President and co-founder of the SEED Foundation. She is originally from the city of Kirkuk in Iraqi Kurdistan but having lived in many countries, she considers herself to be a world citizen. From 2006-2010, Tanya served as a representative in the Iraqi Parliament, representing the people of Kirkuk, advocating for the interests of a multi-ethnic and religious society. She was a member of the Foreign Relations Committee and was known for speaking out against the injustices Iraqi Kurds faced in the past and still face today. She was one of the leading voices demanding representation for women in the political arena; her work with other leading women activists helped legislate a quota for women in the Iraqi Constitution. Tanya also worked in the think-tank community in Washington, DC. As Director of Democracy Programs at the Foundation for the Defence of Democracies, she did advocacy work and worked closely with policy makers in Washington to help give voice to the under-represented in the Middle East and North Africa region. She has served on the board of various non-governmental organizations in Iraq and Kurdistan, and is one of the founders of the Ashti (Peace) Women’s Movement, which played an instrumental role in bringing together the opposition and government. 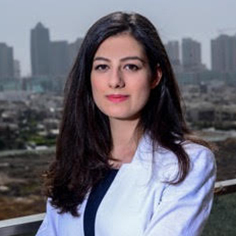 Tanya studied Political Science at Carleton University in Ottawa, Canada and currently resides in Erbil, Iraqi Kurdistan. 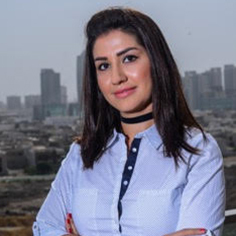 Sara Rashid is a Senior Officer for the non-profit organization Kurdistan Save the Children. She develops and manages programs for the protection and well-being of refugees and internally displaced people from Syria and Iraq, with a focus on children’s protection. Sara started her career by focusing on the relationship between global health and conflict through her research work on ‘Global Health Security’ at the renowned British think tank organisation, Chatham House. One of her key achievements during this time was her contribution to the journal paper ‘Conflict Medicine and Survival’, published in 2012. Sara obtained her diploma in Biomedical Science from King’s College London in 2009, and holds a Masters Degree in Global Health and Development from University College London. She currently resides in Suleimania, Iraqi Kurdistan. 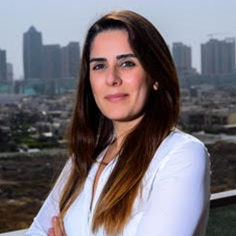 Carol Khoury Youssef is currently the Director of Fingerprints Children Center, a high-quality daycare for kids between one and four years old based in Erbil. Carol is a certified Speech Therapist. In Beirut, she worked for six years within an institute for children with hearing loss and for more than ten years in a private clinic where she worked with babies, children and adults who have various levels of speech, language and communication difficulties, learning disabilities, hearing loss/deafness, psychiatric disorders or dementia. She has worked on developing treatment programs based on individual assessments. From 2006 to 2008, Carol was a trainer at the Educational Center for Research and Development where she developed training programs for the teachers at the Lebanese Public Schools in order to create awareness and adapted intervention plans inside the classes for kids with learning disabilities. Carol holds a degree in Speech and Language Pathology from the Lebanese University of Beirut and currently resides in Erbil, Iraqi Kurdistan. Janne Botani has been an active supporter of SEED’s work since its creation. Since Janne was forced to flee Kurdistan to the Netherlands during the first Gulf War, helping the displaced is an issue close to her heart. She studied Law at Hanze University of Applied Sciences in the Netherlands and she did her internship with the Dutch Minister of Security and Justice. She currently resides in Erbil, Iraqi Kurdistan. Esra Tara Naamani is an active philanthropic and humanitarian advocate, and supports causes in Darfur, Kurdish Region of Iraq, and Turkey. After graduating in 2007, Esra went on to pursue her postgraduate studies at Albert Einstein College of Medicine in the Bronx. Esra dedicated her time at Einstein to researching neurological disorders working alongside leading professors in the field of neurology. She earned her Master’s Degree and PhD in Neuroscience in 2010 and 2012, respectively. Her research was published in highly acclaimed journals, such as Journal of Neurophysiology, Neuron, and Nature Neuroscience, and forms sections of neuroscience textbooks. She is a member of The Society of Neuroscience, Federation of European Neurosciences, and Society for Research on the Cerebellum, and New York Academy of Sciences. Esra was born in Istanbul, where she attended Pierre Lotti High School before moving to New York to pursue a Bachelor of Science in Biology and Psychology at Cornell University. She currently lives in Istanbul. 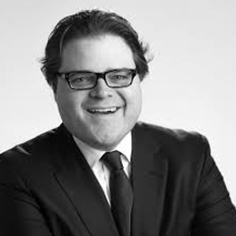 Vince Frillici has been involved in federal politics, policy and lobbying for over twenty years. He provides clients Congressional and Administration strategy and lobbying, as well as partnering with independent specialists in communications when client goals necessitate both lobbying and communications. Vince’s passion and ability to translate the arcane languages of business and federal policy into real world language make him a unique advocate. He has trusted relations with senior Administration officials as well as Democratic Members of the Senate and House. Vince is a graduate of Michigan State University, with a degree in Political Economy from MSU’s James Madison College and received his Master’s of Business Administration from the University of North Carolina at Chapel Hill. 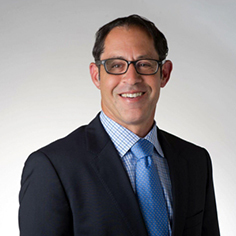 He currently resides in Washington D.C.
Ayal Frank is a Senior Vice President in Mercury’s Washington, DC offices, where he serves as a consultant to domestic and foreign clients, providing government and public affairs services. Ayal has over a decade of experience in international business. He has represented both foreign governments as well as American and foreign corporations before the US Government, with special expertise in Middle East markets. He served as the senior legislative assistant to Congressman James Maloney (D-CT), and supported the congressman’s work on the House Armed Services Committee. In addition to defence and national security issues, Ayal was also responsible for foreign affairs and trade issues for the congressman. He worked for the Washington Institute for Near East Policy and interned at the Center for Strategic and International Studies and he is a founder of the United States Kurdistan Business Council, and currently serves as its vice-president. 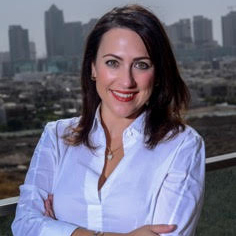 Ayal holds a Bachelor’s degree from Macalester College in St. Paul, Minnesota, and a Master’s degree from the School of International Service at American University. He currently resides in Washington in D.C.
Jennifer Key has spent over a decade advocating for and working to improve U.S. foreign assistance. Most recently, Jennifer developed and executed on a legislative strategy for the Bureau for Food Security at the U.S. Agency for International Development that, in concert with other stakeholders, led to the passage and enactment of the Global Food Security Act of 2016, aimed at accelerating inclusive, agricultural-led economic growth that reduces global poverty, hunger, and malnutrition. Jennifer previously served as chief of staff at Friends of the Global Fight Against AIDS, Tuberculosis and Malaria, a U.S. advocacy organization singularly focused on advancing the work of the Global Fund to Fight AIDS, Tuberculosis and Malaria. From 2006 to 2012, she worked on congressional affairs at the Millennium Challenge Corporation, an innovative and independent U.S. foreign aid agency that is helping lead the fight against global poverty. Jennifer earned an Executive Master of Public Administration in Global Public Policy and Management, a joint degree from the Robert F. Wagner Graduate School of Public Service at New York University and the School of Public Policy at University College London. She also has a bachelor’s degree in political science, with a concentration in international relations, from Duke University. She currently resides in Washington D.C.
David Tafuri is a partner in the Washington, DC office of the international law firm, Dentons. He assists clients with international business, public international law, foreign investment, rule of law and dispute resolution matters. He is especially focused on post-conflict countries in the Middle East and North Africa. His current clients include the Kurdistan Regional Government and he is also the President of the US-Kurdistan Business Council. From 2006 to 2007, David served as the US State Department’s rule of law coordinator for Iraq at the US Embassy in Baghdad. In that position, he worked directly with the chief justice of Iraq and Iraqi ministries to help rebuild the legal system. In addition to his position with the State Department, David draws on his previous experience as an aide to the Senate Judiciary Committee and a staff assistant to several presidential and congressional campaigns to augment his practice. Before entering private practice, David worked for the United Nations in Turkey. He has also served on the board of directors of USA for UNHCR, which supports the UN Refugee Agency, and is a former member of the Washington Ballet’s Jete Society. Fariba Jahanbani is the regional director of Cartier, an international luxury company based in Paris. Prior to her position at Cartier, Fariba was an instructor at George Mason University and Fairfax County Public Schools. An active board member of many international organizations and NGOs, Fariba has received recognition for her passion and leadership in the field of education, namely empowering women and children in challenged areas of the world. 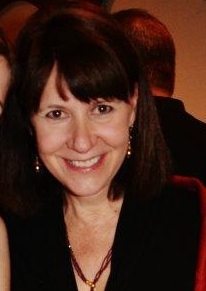 She is a graduate of George Mason University and holds a Master’s degree in International Studies and Literary Criticism and currently resides in Washington D.C.
Eileen Mosher Webb is the Chief Operating Officer of the Falls River Center, an organizational development consulting and training organization. In addition to her role as CEO, Eileen has been an adjunct faculty with the Federal Executive Institute for the past fourteen years. She has facilitated and taught course curriculum to numerous learning teams in their 4-week program, Leadership for a Democratic Society Program. In 2016 Ms. Mosher Webb was appointed an adjunct position with the University of New Hampshire at the Browne Center. Eileen has held some challenging management positions within corporate America such as Manager of Human Resources for General Electric where she served as the European Liaison, was involved in labor and management mediation, designed and delivered their process improvement programs, Workout and the Leadership Profile. She received her Bachelor’s degree and Master’s in Public Administration at the University of Nebraska, with a concentration in Organizational Development. Eileen is also a doctoral candidate at The Chicago School of Professional Psychology; she is working towards her PhD in Organizational Leadership. She currently resides in Virginia.